Lauren Lewis knows she made a huge mistake when she walked away from Tanner. But she was young, ambitious, and focused on her medical career. Now, after all these years, Tanner’s back—and, in spite of his injuries, looking better than she allows herself to admit. She agrees to work on Tanner’s big bruised muscles until he’s back in bull-riding shape again. But how can Lauren resist the smoldering attraction between her and her old flame... and find a way to live without him? This is the second book in the series, and we get to meet up with Mia and Sam, who star in book one, but as this centres around her brother, Tanner, it is not essential to have read that book first. Tanner has always done his own thing and resisted all attempts to change his career to something less dangerous than being the best bull rider in the world. Even a serious accident will not deter him – in fact, his stubbornness makes him even more insistent. Little does he realise that his one true (but lost) love will be the PT helping him recover his strength. On an idyllic island in Fiji. Of course, Soraya Lane plots her romances with great skill, and we know that the layers of animosity will need some serious conversations to resolve, but the chemistry is going to burn through any issues they may have about getting all close and personal again! There is a lot of growing up going on in this story, especially given the protagonists are just entering their thirties. Emotional maturity got stifled by what happened between them at 18, and it is great fun and very hot watching them reigniting the flame, and then deciding what they actually want from each other. Inevitably there are more hurdles to climb, but I love how the story unfurled. I highly recommend this book to you, it would be perfect beach reading, but also good curled up in front of the fire! 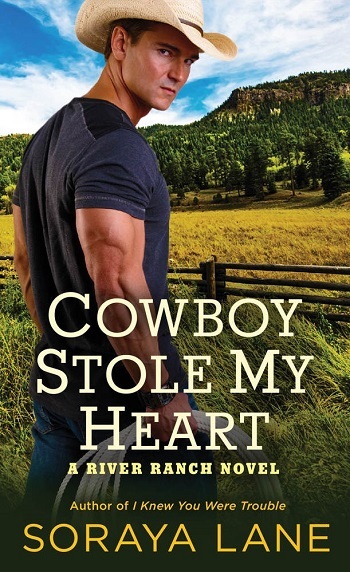 An interesting mix of sports, cowboys, and hot romance. For reviews & more info, check out our Cowboy Stole My Heart post. As a child, Soraya Lane dreamed of becoming an author. Fast forward more than a few years, and Soraya is now living her dream! Soraya describes being an author as "the best career in the world," and she hopes to be writing romance for many years to come. Reviewers on the Wicked Reads Review Team were provided a free copy of All Night with the Cowboy (River Ranch #2) by Soraya Lane to read and review.